MANHATTAN (CN) – Civil rights groups filed a lawsuit Wednesday to compel the New York City Police Department to turn over records giving insight into its controversial gang database, which police have claimed do not exist despite testimony suggesting otherwise. The NYPD has defended its gang database as a valuable tool that has helped reduce violent crime in the city, but critics say the criteria for categorizing individuals as gang members is extremely broad. “In New York, as in the nation as a whole, individuals identified in gang databases—almost always boys and young men of color—face extraordinary consequences,” according to the petition filed in New York County Supreme Court by the NAACP Legal Defense & Educational Fund, or LDF, and the Center for Constitutional Rights, abbreviated as CCR. The groups are represented by LDF’s Marne Lenox. Those consequences include “heightened police surveillance, elevated aggression during police encounters, enhanced bail recommendations, elevated charges, enhanced sentencing recommendations, and, for some, loss of housing and the threat of deportation,” the petition states. Last December, the LDF and CCR filed a Freedom of Information Law request seeking the criteria for how the NYPD classifies individuals as gang members. A second request was filed in February seeking public records on the “due process implications” for individuals designated as gang members. In May, the NYPD provided two heavily redacted PowerPoint presentations and NYPD procedure pamphlets, and a month later provided spreadsheets with statistics on individuals in the database and a copy of the department’s now-defunct Gang/Group Incident Report, according to the lawsuit. The following month the NYPD claimed it could not locate any records regarding the criteria for entering individuals into the gang database, which contradicts testimony from earlier that month suggesting the NYPD had such records, the civil rights groups claim. On June 13, NYPD Chief of Detectives Dermot Shea allegedly testified that the police department had created specific procedures on how to enter individuals into its gang database, which is shared with local district attorneys offices and the New York City Department of Correction. During that testimony, Shea also stated that 99 percent of the roughly 17,200 individuals in the NYPD’s gang database are people of color, with 65 percent being African-American. People are not notified when they are included in the database and have no official recourse to challenge their gang designations, the petition claims. Despite Shea’s testimony, in June the NYPD responded to the civil rights groups’ FOIL request appeals, allegedly claiming it could not locate the requested records on gang member criteria or how the department reviews and modifies the database for accuracy. “We will review the lawsuit once we are served,” a spokesperson for the NYPD said in an email. Shea’s testimony reportedly laid out several methods for inclusion in the Criminal Group Database, including self-admission of gang membership and identification by two “independent and reliable sources.” However, inclusion could also be based merely on social media posts with known gang members and having gang-affiliated scars or tattoos, he testified. NYPD has stated that roughly 90 percent of individuals in the gang database have been arrested for at least one felony, while about three-quarters have been arrested for at least one index crime. “The NYPD’s so-called ‘Criminal Group Database’ and gang policing practices are a black box that, like stop-and-frisk before them, have subjected thousands of young people of color in New York City over the past several years to police surveillance, harassment, and worse,” CCR senior staff attorney Darius Charney said in a statement. The petition seeks a court order directing NYPD to turn over all requested documents not subject to a FOIL exemption or a hearing to determine whether the records actually exist. 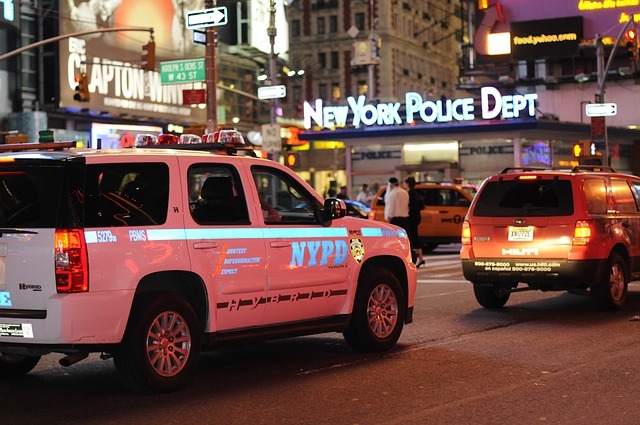 The NYPD gang database has been a lightning rod for criticism. Earlier this year the Legal Aid Society and other groups encouraged citizens to file FOIL lawsuits to see if they were on the database. Other civil rights and community groups have filed similar lawsuits recently either challenging or seeking database info from police departments in Chicago and California. In the Chicago case, the database was found to include nearly 15,000 people over the age of 50, and 163 people in their 70s or 80s. Lawsuits over a California gang database also claim individuals no longer affiliated with gangs remain on police lists. However, challenges to that database have not been successful, with a federal judge in March ruling that a former gang member will remain on the CalGang database through April 2019.